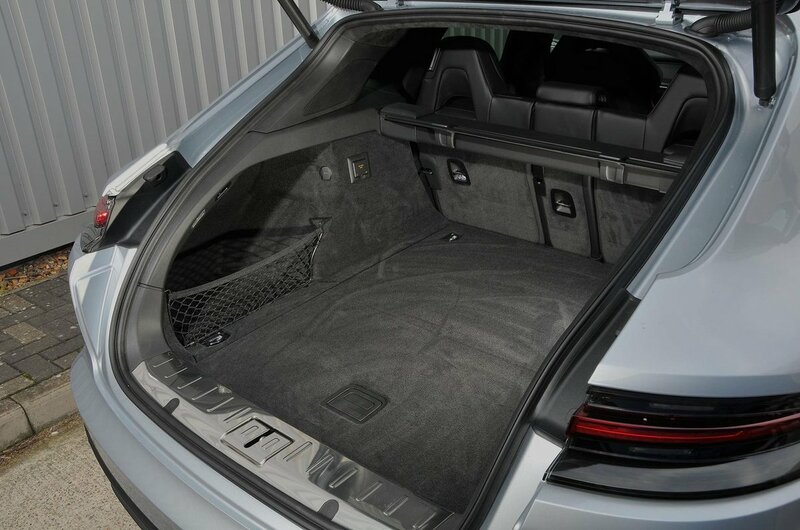 Porsche Panamera Sport Turismo Boot Space, Size, Seats | What Car? Despite the Sport Turismo placing an emphasis on rear seat passengers, front seat occupants are also well catered for – this is a Porsche after all, and the driver will always come first. Six-footers and above benefit from acres of both head and leg room and there is plenty of adjustment from the standard fit electrically adjustable seats. Storage space is good, too. You get a decent central cubby, with USB ports for charging devices and a couple of generously sized cup holders mounted on top. The door bins will also swallow a fair amount of clutter or a bottle of drink. Those in the back (if you opt for the standard four seat variant) are treated to a vast central armrest, storage between the seats and reasonably sized door bins. In terms of outright space, when compared to the standard Panamera - which can feel snug in the rear thanks to its sloping roofline - the Sport Turismo with its squared off rear end feels positively airy. And unlike the standard car, there is now a family orientated four-plus-one seating layout, which offers two full-sized individual rear outer seats and a narrow and raised central rear seat. The central rear seat is, however, compromised for leg space owing to the central tunnel running down the centre of the floorpan. Therefore, we’d only choose this option if you are planning on carrying children – and even then, it should only be used for short trips. 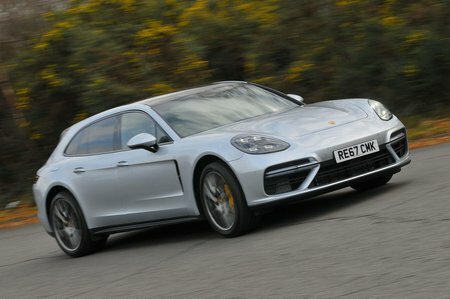 Ultimately, the Sport Turismo makes most sense as a four-seater. The two full-sized rear seats offer plenty of space, even when sat behind someone tall in the front, and the centre console - equipped with its own infotainment screen and HVAC panel – gives you the feeling that you’re flying first class with Lufthansa. However, and somewhat surprisingly we might add, despite its taller roofline, the Sport Turismo only offers around 4 per cent more boot space than the standard Panamera. This might lead you to question if the Sport Turismo is more style than substance, but it’s important to remember that practicality is not just about raw figures. For example, the new tailgate offers a much larger loading aperture than the standard car’s hatchback appendage, and the loading lip is also set lower, at bumper level, to ease the loading of heavy items. As a result, the Sport Turismo feels far more practical, and, more importantly, useable, than conventional rivals such as the Mercedes CLS and Audi A7 Sportback. 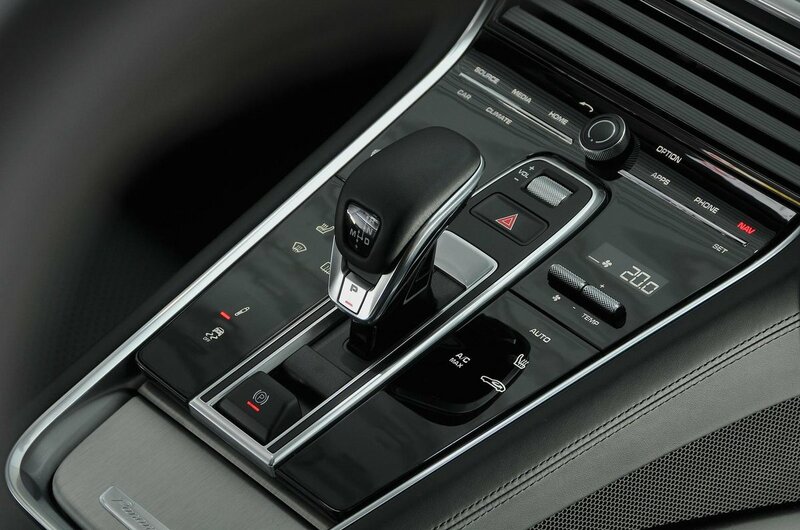 Porsche also offers a number of options, which should help users utilise that extra space, the most notable being a so-called ‘luggage compartment management system’. It uses two rails integrated into the floor of the boot, four lashing points and a partition net to secure items. It’s a nifty system, but we’d rather do without.